Vitalik Buterin vs Roger Ver: Hot Debates on – What? Leave a Comment on Vitalik Buterin vs Roger Ver: Hot Debates on – What? The teasers of these coins still include one common letter (ETH and BCH). But the differences between them, and most importantly – between their founders – are much more serious. Vitalik Buterin and Roger Ver. Who is stronger, resourceful, inventive? 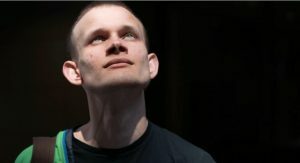 Youth (Vitalik is 24 years old) or experience (Roger will be 40 years in two months)? 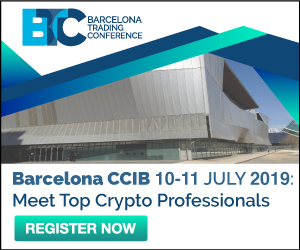 In the end – what cryptocurrency – Bitcoin cash or Ethereum – will survive after this storm on cryptomarket? If you know – you can even win big money – about $1M! Just take part in CoinsHeroes Lottery. If you don’t know – better read more. 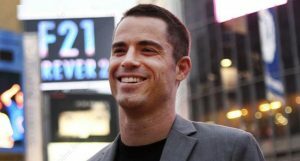 In early September, Roger Ver tweeted something about copyright: “Copyrights are legitimate contractual agreements between consenting parties”. It seems to be the usual star’s banter. Seems it doesn’t matter. Peacefully grazing hamsters are ready to just shake their ears and go on with sneaking. But it turned out that everything is not so easy! These stars came together for some reason, and the talk was not a waste of time. And Vitalik did not pause by chance! Because in fact, the landscape becomes dramatic and even the kind of conspiracy. The full-grown wolf Roger Ver, endowed with instincts and stuffed cones and bruises, conducted a verbal intervention. For what? Yes, in anticipation of hard fork. Because hard fork is painful. And for Roger Vera, the situation is even more complicated than in case with other forks. A year ago, he, Jolly Roger had already led one hard fork. And the whole year he, Jolly Roger, had shilled his brainchild. But on November 15 a new fork was completed and the “brainchild” was divided into two – ABC and SV. If ABC is from lack of fantasy, then SV is short for “Satoshi’s Vision.” Shocked? That’s the matter for us! Yes, this fork was headed by someone Craig Wright from faraway Australia, who called himself two years ago the creator of what you know – he called himself Satoshi Nakamoto! Wow! Interesting, right? What is its power, brother? – What is its power, brother? And Roger Ver, and the child prodigy Vitalik, in spite of their youth, are powerful fighters. And both feel in bones with unknown sense that huge money is coming. Simply monstrous amounts of money are ready to come with the efforts of the institutionalists. The market is collapsed in front of this – and in order to take off to where the experts sent it months ago – to 40K for the main coin. And even to 100K. And therefore it makes sense to compete for copyright, and for trademarks, labels, titles, terms. Vitalik stated something like – we figured out without problems with the clone named Classic. It hangs out now somewhere there – at the end of the second ten. And why you, he says, you cannot do the same? Seems, both masters know the power of each of them.